Distinguished students and student organizations came together on Thursday, April 17 in the Commonwealth Ballroom from 6-8 p.m. for the Leadership and Service Awards, an award show that recognized a variety of students and organizations for their outstanding leadership, service and commitment to VCU. Students and organizations had the opportunity to win a variety of awards such as the national “Who’s Who” award, The Alumni Association Award, Board of Visitors Award, fraternity and sorority emerging leader, fraternity man and sorority woman of the year, outstanding student organization of the year, and more. Dr. Rodriguez presented the Who’s Who Award, a national award given to some of the country’s most outstanding campus leaders. The recipients for this award are chosen on the basis of academic achievement, services to the community, leadership in extracurriculars and future potential. 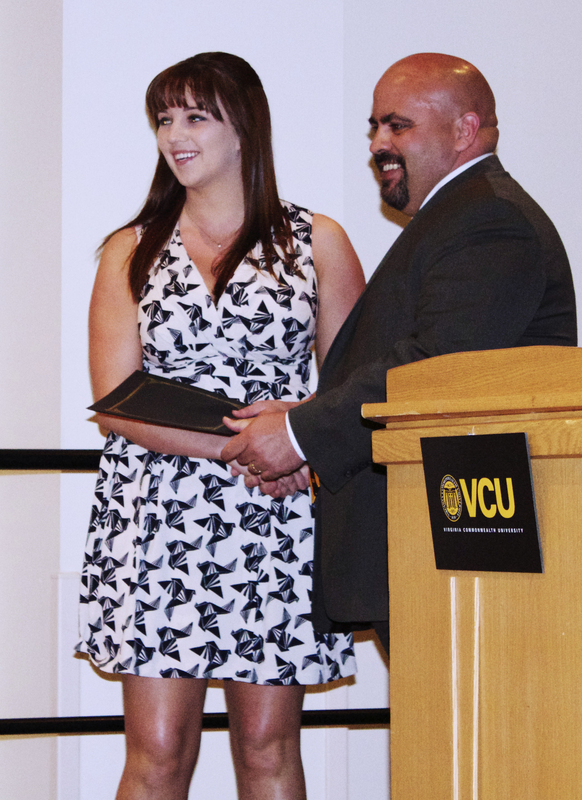 VCU recognized over a dozen Who’s Who Award recipients. Other individual awards included fraternity and sorority man/ woman of the year, an award which recognizes an outstanding junior or senior man and woman who exemplify all the ideals of a fraternity man and sorority woman- the highest recognition and honor within the VCU fraternity and sorority community. This year, students from Pi Kappa Alpha and Alpha Gamma Delta were recognized. Sarah Weaver- sorority woman of the year. Other prestigious awards included the William H. Duval Award for student activities and involvement, the VCU Alumni Association Award, the Division of Student Affairs Services Award and the most prestigious: The Board of Visitors Award, which awarded one student with a full year scholarship covering in-state tuition and fees. 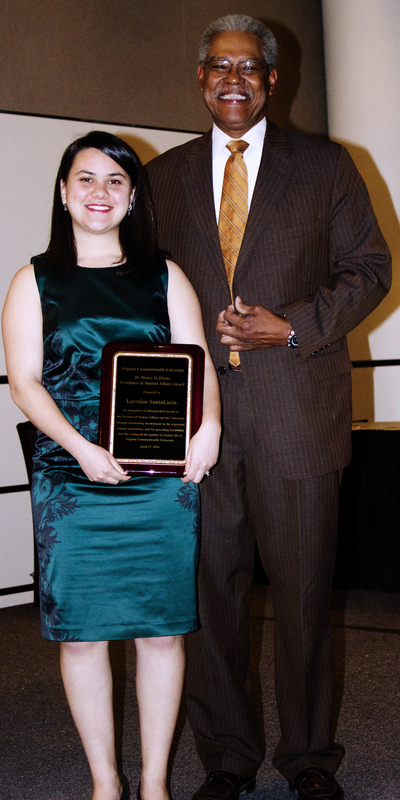 This year’s Board of Visitors Award was given to senior Jessica Watts. 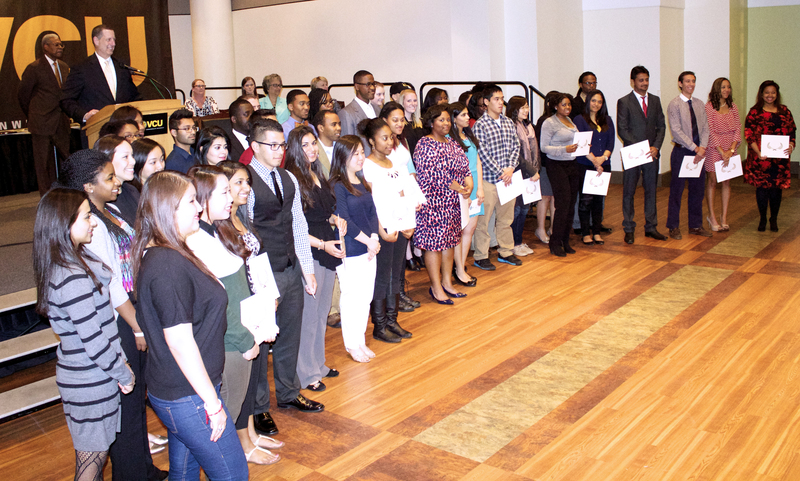 Numerous student organizations won awards for their leadership and service on campus. Alpha Phi Omega and Alternative Spring Break won the award for top reported service hours from an organization. Student organization of the year was won by Scholarship Sharing, and most improved student organization was won by Students Today, Alumni Tomorrow (STAT). Outstanding new student organization was won by Just Say Know. Lorraine Santa Lucia, president of Scholarship Sharing receives the award for student organization of the year. Adviser of the Year was won by Dr. Stephanie Goldberg from United 2 Heal. The Outstanding Community Service Award was given to Holly Fire Fellowship. The Outstanding Local Community Service Award was given to National Society of Black Engineers. The Student Organization Advocacy Award was given to UNICEF at VCU. The awards show was followed by a reception in the James River Terrace. Next So You Think You’re a Ram Now?